- Fix service misconfigurations that may be causing problems including slow boots. - Clean your temporary folders. - Restore key registry entries back to their default values. 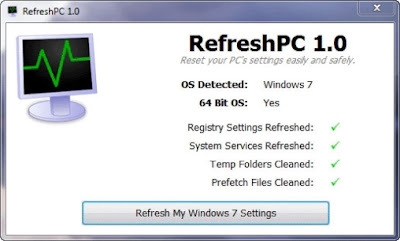 RefreshPC works on Windows XP, Vista and Windows 7. 64bit and 32bit versions. I tested it on Windows 7 x86 platform.